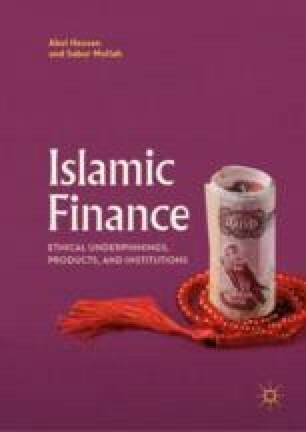 This chapter elaborates on the risk management in IFIs with an empirical fieldwork by analysing the implications of the Basel III Accord to Islamic banks in the light of IFSB guidelines. Basel Committee on Banking Supervision. (2010a, December). Basel III: A Global Regulatory Framework for More Resilient Banks and Banking Systems. http://www.bis.org/publ/bcbs189.pdf. Accessed July 21, 2012. Basel Committee on Banking Supervision. (2010b, December). Basel III: International Framework for Liquidity Risk Measurement, Standards and Monitoring. http://www.bis.org/publ/bcbs188.pdf. Accessed July 21, 2012. Islamic Financial Services Board. (2005a, December). Capital Adequacy Standard for Institutions (Other Than Insurance Institutions) Offering Only Islamic Financial Services. http://www.ifsb.org/standard/ifsb2.pdf. Accessed June 10, 2012. Islamic Financial Services Board. (2005b, December). Guiding Principles of Risk Management for Institutions (Other Than Insurance Institutions) Offering Only Islamic Financial Services. http://www.ifsb.org/standard/ifsb1.pdf. Accessed June 10, 2012. Islamic Financial Services Board. (2008, March). Technical Note on Issues in Strengthening Liquidity Management of Institutions Offering Islamic Financial Services: The Development of ISLAMIC Money Markets. http://www.ifsb.org/docs/mar2008_liquidity.pdf. Islamic Financial Services Board. (2010, December). Guidance Note on the Practice of Smoothing the Profits Payout to Investment Account Holders. http://www.ifsb.org/standard/eng_GN-_Guidance_Note_on_the_Practice_of_Smoothing.pdf. Accessed June 10, 2012. Islamic Financial Services Board. (2011, March). Guidance Note in Connection with the IFSB Capital Adequacy Standard: The Determination of Alpha in the Capital Adequacy Ratio for Institutions (Other Than Insurance Institutions) Offering Only Islamic Financial Services. http://www.ifsb.org/standard/eng%20GN-4_IFSB%20CASAlpha%20in%20Capital%20Adequacy%20Ratio%20(Mar_2011).pdf. Accessed June 10, 2012.